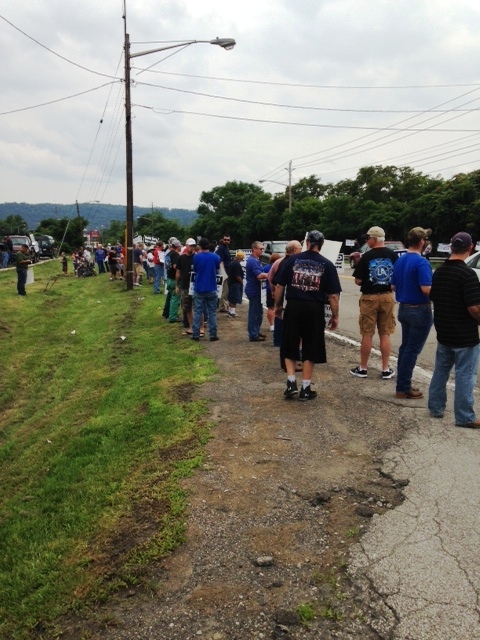 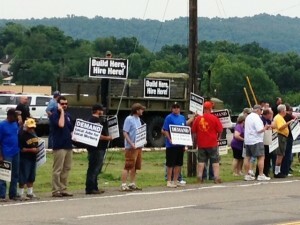 BAC locals 9 and 10 continue participation in the Build Here Hire Here Local Workers Rallies with the Upper Ohio Valley Building and Construction Trades Council. 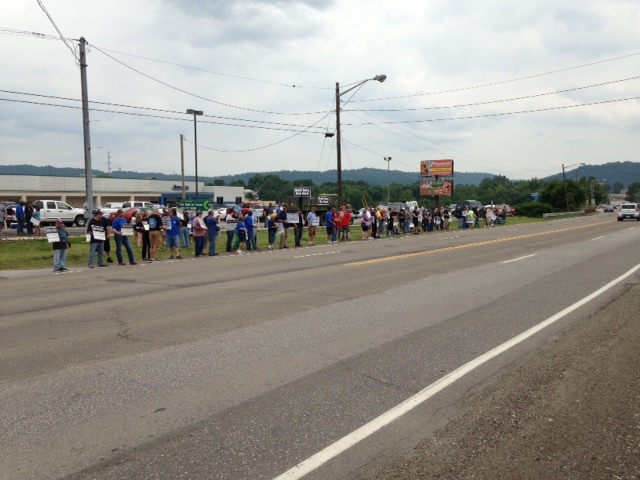 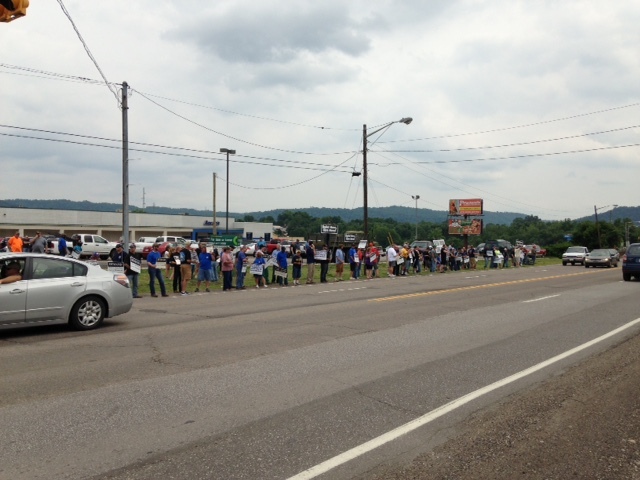 This last rally was on July 2, 2015 on Route 2 in Moundsville, WV. 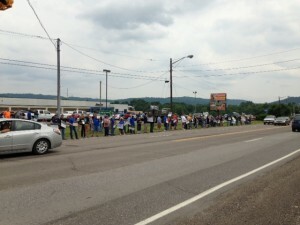 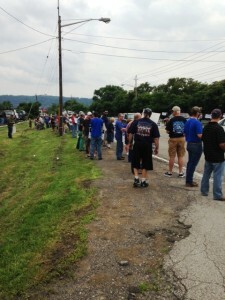 The Rallies started in Bridgeport Ohio (Belmont County), June18th followed by June25th in Steubenville Ohio (Jefferson County). The next rally locations are likely Harrison County and Belmont/Monroe Counties. 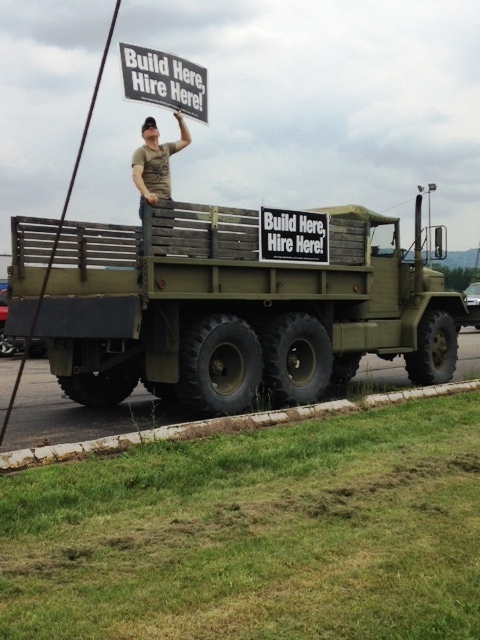 If anyone would like to show your support, you can get participation information from Don Mays at 330-571-5289.